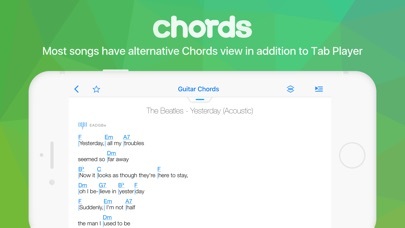 Songsterr Tabs & Chords App Data & Review - Music - Apps Rankings! 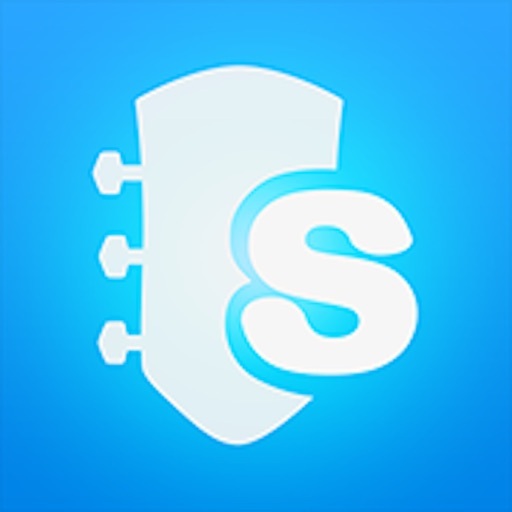 The applications Songsterr Tabs & Chords was published in the category Music on 2010-12-15 and was developed by Guitar Tabs LLC. The file size is 49.49 MB. The current version is 3.9.0 and works well on 10.0 and high ios versions. 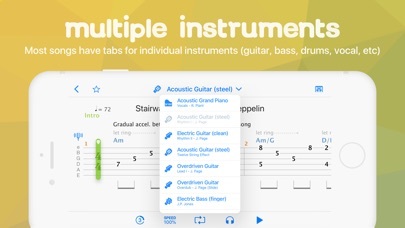 Do you like Songsterr Tabs & Chords applications? Please share! I search and open a song. Cool. I cannot PLAY the flipping song because I need a flipping “Supscription.” WTH. 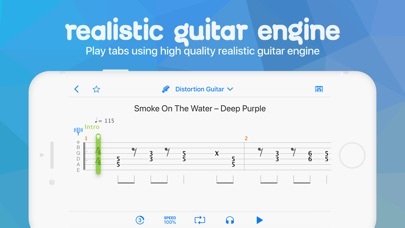 Don't buy, get Ultimate Guitar Tabs it’s way better. Ok it’s not that great but at least better than this crap. Songsterr iTunes subscriptions are not implemented correctly. You must re-enter your ITUNES password almost every time you open the app. As you may know iTunes passwords are low level and do not support password auto fill. Often Songsterr will fail subscription detection and block you from entering. Maybe someday the developer will fix all this. 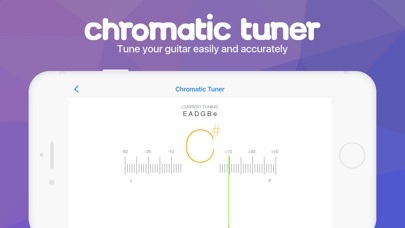 If you want to hear everything except your own instrument, switch instruments in the app to something else, then turn off the one that you actually play. 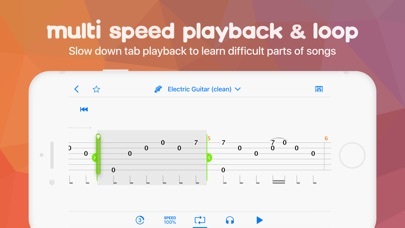 This way you can improve your technique and develop an ensemble sound using all the other excellent features of this app. Thanks to Joshman0013 for raising this issue. 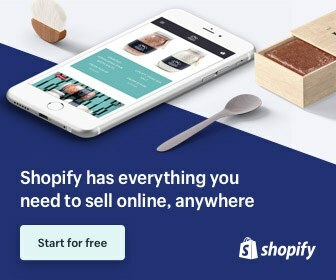 I use the website in my phone and I thought that if you used the app it would not have that stupid banner telling you to get the app that takes up half the screen. I actually had hope for this one. Not even a trial. Wow.